Profile view of Pinocchio string marionette. His ears and long nose are clearly shown in this picture. The strings on his hat and the joint at his neck are also visible. 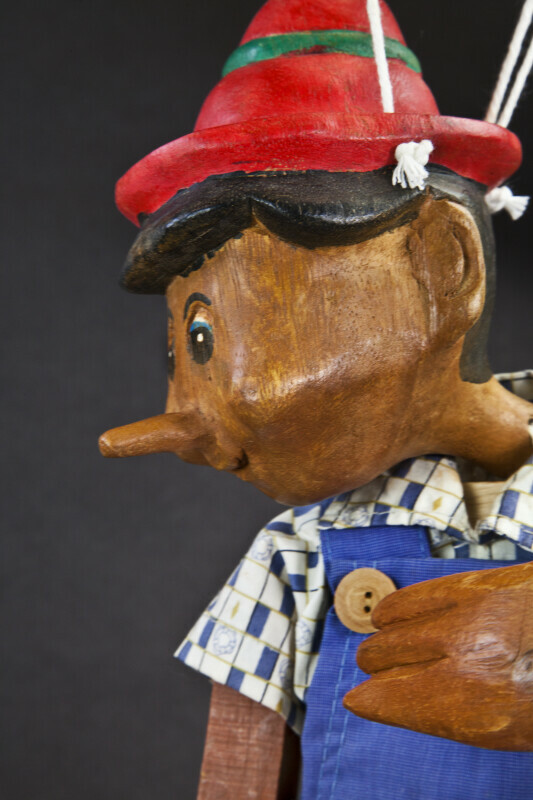 The original story about Pinocchio was written by Carlo Collodi in Italy, and has been translated into over 260 languages. This figure stands 18 inches (46 cm) tall.